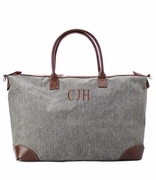 TEMPORARILY OUT OF STOCK...Personalized poly-cotton blend duffle tote bag. Stylish contrasting upper solid black portion with a bottom band in a leopard animal print. Detachable over the shoulder strap or carry with comfortable covered rope handles. Lightweight in a attractive fabric, compliments black luggage for travel. 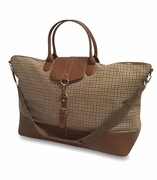 Great bag for a weekend get-away or vacation. Fits nicely in overhead airplane compartments. Perfect for fitting all your day's necessities. 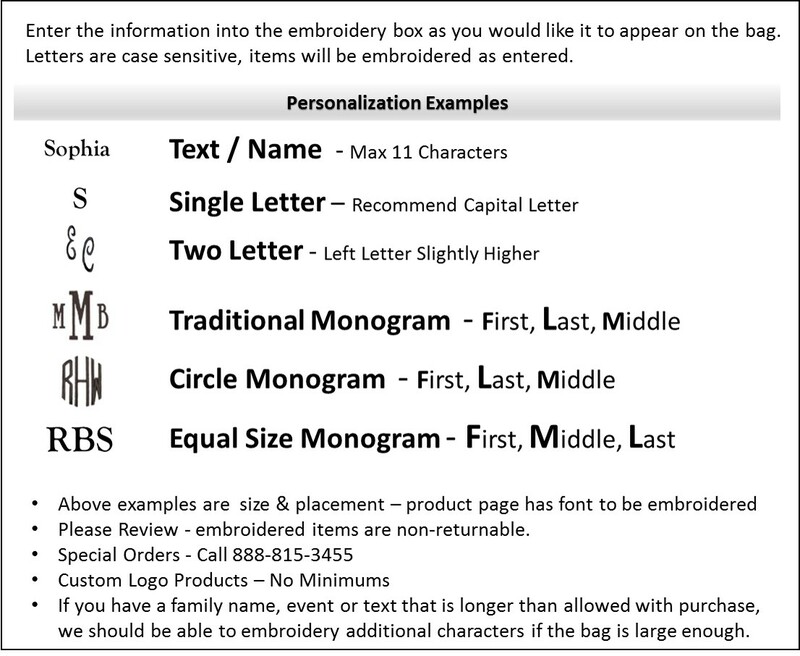 Includes matching monogram. Leopard duffle tote bag measures 20"W x 15"H x 8" across bottom. Lined with zipper closure. Love my new bag! Just enough space for a weekend trip!